Pace: This is a a stay together ride. The pace will be 14-16 mph and all riders must be able to ride this pace to keep everyone together. Come out, meet new people and enjoy good conversation while riding. This is an opportunity to make this a shake-down ride for some new equipment or show off an old classic. First time guest riders are welcome. If you enjoy the experience, pick up a membership form at a local bike shop or download a membership form from the website. 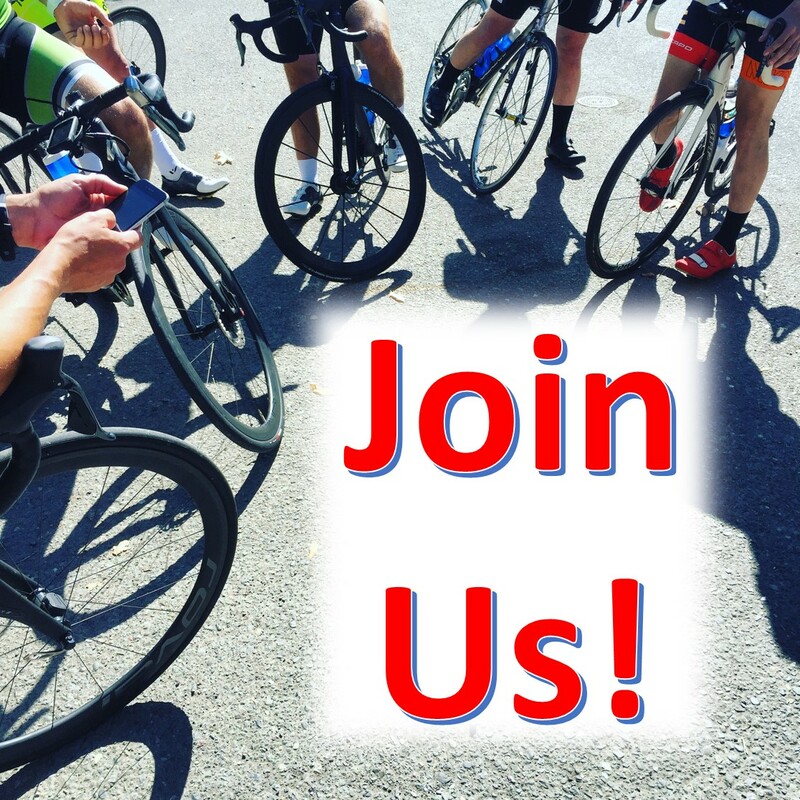 Your membership not only supports the club and cycling advocacy, but also extends insurance coverage to you on club rides and entitles you to discounts at local bike shops. If the real temperature is below 32F or there is steady rain, the ride is canceled.